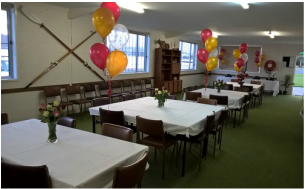 Our hall can be hired for functions, meetings, classes or fundraising events. It can be booked for a single event or on a regular basis. Situated in the Montrose Bay Community Park in Glenorchy the hall has magnificent water views over Elwick Bay and the River Derwent and plenty of parking. The GASP walking track which circles Elwick Bay runs past the door and a children's playground is close by. 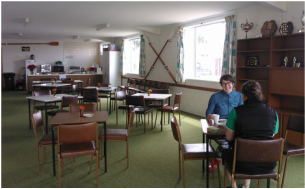 The hall is a large, multipurpose room which has facilities for up to 40 people. It has a small kitchen and serving area and comes equipped with tables and chairs, crockery, TV, DVD player and whiteboard. Our hire rates are very reasonable. Fees for regular bookings are by negotiation. The hall is not available for hire for 18th or 21st birthday parties.